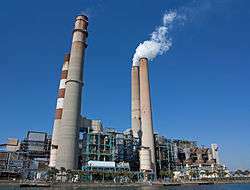 A fossil fuel power station is a power station which burns fossil fuel such as coal, natural gas or petroleum to produce electricity. Central station fossil fuel power plants are designed on a large scale for continuous operation. In many countries, such plants provide most of the electrical energy used. 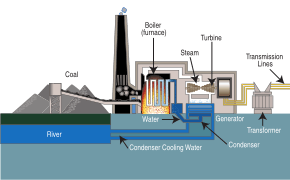 Fossil fuel power stations have machinery to convert the heat energy of combustion into mechanical energy, which then operates an electrical generator. The prime mover may be a steam turbine, a gas turbine or, in small plants, a reciprocating internal combustion engine. All plants use the energy extracted from expanding gas, either steam or combustion gases. Very few MHD generators have been built which directly convert the energy of moving hot gas into electricity. Fossil fueled power stations are major emitters of carbon dioxide (CO2), a greenhouse gas which according to a consensus opinion of scientific organisations is a contributor to global warming. 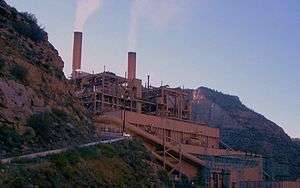 The results of a recent study show that the net income available to shareholders of large companies could see a significant reduction from the greenhouse gas emissions liability related to only natural disasters in the U.S. from a single coal-fired power plant. However, as of 2015, no such cases have awarded damages in the U.S. Per unit of electric energy, brown coal emits nearly two times as much CO2 as natural gas, and black coal emits somewhat less than brown. Carbon capture and storage of emissions is not currently available. In a fossil fuel power plant the chemical energy stored in fossil fuels such as coal, fuel oil, natural gas or oil shale and oxygen of the air is converted successively into thermal energy, mechanical energy and, finally, electrical energy. Each fossil fuel power plant is a complex, custom-designed system. Construction costs, as of 2004, run to US$1,300 per kilowatt, or $650 million for a 500 MWe unit. Multiple generating units may be built at a single site for more efficient use of land, natural resources and labor. Most thermal power stations in the world use fossil fuel, outnumbering nuclear, geothermal, biomass, or solar thermal plants. The second law of thermodynamics states that any closed-loop cycle can only convert a fraction of the heat produced during combustion into mechanical work. The rest of the heat, called waste heat, must be released into a cooler environment during the return portion of the cycle. The fraction of heat released into a cooler medium must be equal or larger than the ratio of absolute temperatures of the cooling system (environment) and the heat source (combustion furnace). Raising the furnace temperature improves the efficiency but complicates the design, primarily by the selection of alloys used for construction, making the furnace more expensive. The waste heat cannot be converted into mechanical energy without an even cooler cooling system. However, it may be used in cogeneration plants to heat buildings, produce hot water, or to heat materials on an industrial scale, such as in some oil refineries, plants, and chemical synthesis plants. Practical fossil fuel stations operating as heat engines cannot exceed the Carnot cycle limit for conversion of heat energy into useful work. Fuel cells do not have the same thermodynamic limits as they are not heat engines. This temperature is presumably much lower than the actual steam temperature due to several losses. As of 2009 the largest coal-fired power station is Taichung Power Plant in Taiwan. The world's most energy-efficient coal-fired power plant is the Avedøre Power Station in Denmark. Big Bend Coal Power Station in Apollo Beach, Florida in the United States. Coal-fired power plants provide about 39 percent of consumed electricity in the United States, as of March 2016. This is the Castle Gate Plant near Helper, Utah. Coal is delivered by highway truck, rail, barge, collier ship or coal slurry pipeline. Some plants are even built near coal mines and coal is delivered by conveyors. A large coal train called a "unit train" may be two kilometers (over a mile) long, containing 130-140 cars with 100 short tons of coal in each one, for a total load of over 15,000 tons. A large plant under full load requires at least one coal delivery this size every day. Plants may get as many as three to five trains a day, especially in "peak season" during the hottest summer or coldest winter months (depending on local climate) when power consumption is high. A large thermal power plant such as the one in Nanticoke, Ontario stores several million metric tons of coal for winter use when the lakes are frozen. Modern unloaders use rotary dump devices, which eliminate problems with coal freezing in bottom dump cars. The unloader includes a train positioner arm that pulls the entire train to position each car over a coal hopper. The dumper clamps an individual car against a platform that swivels the car upside down to dump the coal. Swiveling couplers enable the entire operation to occur while the cars are still coupled together. Unloading a unit train takes about three hours. Shorter trains may use railcars with an "air-dump", which relies on air pressure from the engine plus a "hot shoe" on each car. This "hot shoe" when it comes into contact with a "hot rail" at the unloading trestle, shoots an electric charge through the air dump apparatus and causes the doors on the bottom of the car to open, dumping the coal through the opening in the trestle. Unloading one of these trains takes anywhere from an hour to an hour and a half. Older unloaders may still use manually operated bottom-dump rail cars and a "shaker" attached to dump the coal. Generating stations adjacent to a mine may receive coal by conveyor belt or massive diesel-electric-drive trucks. A collier (cargo ship carrying coal) may hold 40,000 long tons of coal and takes several days to unload. Some colliers carry their own conveying equipment to unload their own bunkers; others depend on equipment at the plant. Colliers are large, seaworthy, self-powered ships. For transporting coal in calmer waters, such as rivers and lakes, flat-bottomed vessels called barges are often used. Barges are usually unpowered and must be moved by tugboats or towboats. For start up or auxiliary purposes, the plant may use fuel oil as well. Fuel oil can be delivered to plants by pipeline, tanker, tank car or truck. Oil is stored in vertical cylindrical steel tanks with capacities as high as 90,000 barrels (14,000 m3)' worth. The heavier no. 5 "bunker" and no. 6 fuels are typically steam-heated before pumping in cold climates. Coal is prepared for use by crushing the rough coal to pieces less than 2 inches (5 cm) in size. The coal is then transported from the storage yard to in-plant storage silos by rubberized conveyor belts at rates up to 4,000 short tons per hour. In plants that burn pulverized coal, silos feed coal pulverizers (coal mills) that take the larger 2-inch (51 mm) pieces, grind them to the consistency of talcum powder, sort them, and mix them with primary combustion air which transports the coal to the boiler furnace and preheats the coal in order to drive off excess moisture content. A 500 MWe plant may have six such pulverizers, five of which can supply coal to the furnace at 250 tons per hour under full load. In plants that do not burn pulverized coal, the larger 2-inch (51 mm) pieces may be directly fed into the silos which then feed either mechanical distributors that drop the coal on a traveling grate or the cyclone burners, a specific kind of combustor that can efficiently burn larger pieces of fuel. Most electric power made from fossil fuel is produced by thermal power stations. Reciprocating steam engines fell out of use rapidly after the first steam turbines were introduced around 1906. In the 1990s was the dash for gas where 30 gas-fired power stations were built in Britain due to plentiful gas supplies from North Sea oil wells. According to the 2012 forecast by the U.S. Energy Information Administration, 27 gigawatts of capacity from coal-fired generators is to be retired from 175 US coal-fired power plants before 2016. Natural gas showed a corresponding jump, increasing by a third over 2011. Some coal power plants such as the 1200 MW Hearn Generating Station have stopped burning coal by switching the plant to natural gas. Coal's share of electricity generation dropped to just over 36%. Natural gas accounted for 81% of new power generation in the US between 2000 and 2010. Coal-fired generation puts out about twice the amount of carbon dioxide - around 2,000 pounds for every megawatt hour generated - than electricity generated by burning natural gas at 1,100 pounds of greenhouse gas per megawatt hour. As the fuel mix in the United States has changed to reduce coal and increase natural gas generation, carbon dioxide emissions have unexpectedly fallen. Carbon dioxide measured in the first quarter of 2012 was the lowest recorded of any year since 1992. The list of natural gas power stations has over 100 power stations that generate between 100MW and 5,600MW of electricity. Natural gas plants are increasing in popularity and in 2014 generated 22% of the worlds total electricity. The world's power demands are expected to rise 60% by 2030. World organizations and international agencies, like the IEA, are concerned about the environmental impact of burning fossil fuels, and coal in particular. The combustion of coal contributes the most to acid rain and air pollution, and has been connected with global warming. Due to the chemical composition of coal there are difficulties in removing impurities from the solid fuel prior to its combustion. Modern day coal power plants pollute less than older designs due to new "scrubber" technologies that filter the exhaust air in smoke stacks; however emission levels of various pollutants are still on average several times greater than natural gas power plants. In these modern designs, pollution from coal-fired power plants comes from the emission of gases such as carbon dioxide, nitrogen oxides, and sulfur dioxide into the air. Acid rain is caused by the emission of nitrogen oxides and sulfur dioxide. These gases may be only mildly acidic themselves, yet when they react with the atmosphere, they create acidic compounds such as sulfurous acid, nitric acid and sulfuric acid which fall as rain, hence the term acid rain. In Europe and the U.S.A., stricter emission laws and decline in heavy industries have reduced the environmental hazards associated with this problem, leading to lower emissions after their peak in 1960s. In 2008, the European Environment Agency (EEA) documented fuel-dependent emission factors based on actual emissions from power plants in the European Union. Electricity generation using carbon based fuels is responsible for a large fraction of carbon dioxide (CO2) emissions worldwide and for 34% of U.S. man-made carbon dioxide emissions in 2010. 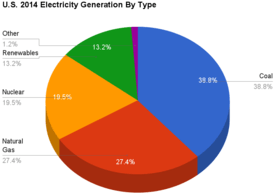 In the U.S. 70% of electricity generation is produced from combustion of fossil fuels. Of the fossil fuels, coal is much more carbon intensive than oil or natural gas, resulting in greater volumes of carbon dioxide emissions per unit of electricity generated. In 2010, coal contributed about 81% of CO2 emissions from generation and contributed about 45% of the electricity generated in the United States. In 2000, the carbon intensity of U.S. coal thermal combustion was 2249 lbs/MWh (1,029 kg/MWh) while the carbon intensity of U.S. oil thermal generation was 1672 lb/MWh (758 kg/MWh or 211 kg/GJ) and the carbon intensity of U.S. natural gas thermal production was 1135 lb/MWh (515 kg/MWh or 143 kg/GJ). The Intergovernmental Panel on Climate Change (see IPCC) states that carbon dioxide is a greenhouse gas and that increased quantities within the atmosphere will "very likely" lead to higher average temperatures on a global scale (global warming); concerns regarding the potential for such warming to change the global climate prompted IPCC recommendations calling for large cuts to CO2 emissions worldwide. Emissions may be reduced through more efficient and higher combustion temperature and through more efficient production of electricity within the cycle. Carbon capture and storage (CCS) of emissions from coal-fired power stations is another alternative but the technology is still being developed and will increase the cost of fossil fuel-based production of electricity. CCS may not be economically viable, unless the price of emitting CO2 to the atmosphere rises. Another problem related to coal combustion is the emission of particulates that have a serious impact on public health. Power plants remove particulate from the flue gas with the use of a bag house or electrostatic precipitator. Several newer plants that burn coal use a different process, Integrated Gasification Combined Cycle in which synthesis gas is made out of a reaction between coal and water. The synthesis gas is processed to remove most pollutants and then used initially to power gas turbines. Then the hot exhaust gases from the gas turbines are used to generate steam to power a steam turbine. The pollution levels of such plants are drastically lower than those of "classic" coal power plants. Particulate matter from coal-fired plants can be harmful and have negative health impacts. Studies have shown that exposure to particulate matter is related to an increase of respiratory and cardiac mortality. Particulate matter can irritate small airways in the lungs, which can lead to increased problems with asthma, chronic bronchitis, airway obstruction, and gas exchange. There are different types of particulate matter, depending on the chemical composition and size. The dominant form of particulate matter from coal-fired plants is coal fly ash, but secondary sulfate and nitrate also comprise a major portion of the particulate matter from coal-fired plants. Coal fly ash is what remains after the coal has been combusted, so it consists of the incombustible materials that are found in the coal. The size and chemical composition of these particles affects the impacts on human health. Currently coarse (diameter greater than 2.5 μm) and fine (diameter between 0.1 μm and 2.5 μm) particles are regulated, but ultrafine particles (diameter less than 0.1 μm) are currently unregulated, yet they pose many dangers. Unfortunately much is still unknown as to which kinds of particulate matter pose the most harm, which makes it difficult to come up with adequate legislation for regulating particulate matter. Coal is a sedimentary rock formed primarily from accumulated plant matter, and it includes many inorganic minerals and elements which were deposited along with organic material during its formation. As the rest of the Earth's crust, coal also contains low levels of uranium, thorium, and other naturally occurring radioactive isotopes whose release into the environment leads to radioactive contamination. While these substances are present as very small trace impurities, enough coal is burned that significant amounts of these substances are released. A 1,000 MW coal-burning power plant could have an uncontrolled release of as much as 5.2 metric tons per year of uranium (containing 74 pounds (34 kg) of uranium-235) and 12.8 metric tons per year of thorium. In comparison, a 1,000 MW nuclear plant will generate about 30 metric tons of high-level radioactive solid packed waste per year. It is estimated that during 1982, US coal burning released 155 times as much uncontrolled radioactivity into the atmosphere as the Three Mile Island incident. The collective radioactivity resulting from all coal burning worldwide between 1937 and 2040 is estimated to be 2,700,000 curies or 0.101 EBq. During normal operation, the effective dose equivalent from coal plants is 100 times that from nuclear plants. Normal operation however, is a deceiving baseline for comparison: just the Chernobyl nuclear disaster released, in iodine-131 alone, an estimated 1.76 EBq . of radioactivity, a value one order of magnitude above this value for total emissions from all coal burned within a century, while the iodine-131, the major radioactive substance which comes out in accident situations, has a half life of just 8 days. A study released in August 2010 that examined state pollution data in the United States by the organizations Environmental Integrity Project, the Sierra Club and Earthjustice found that coal ash produced by coal-fired power plants dumped at sites across 21 U.S. states has contaminated ground water with toxic elements. The contaminants including the poisons arsenic and lead. Currently, the EPA does not regulate the disposal of coal ash; regulation is up to the states and the electric power industry has been lobbying to maintain this status quo. Most states require no monitoring of drinking water near coal ash dump sites. The study found an additional 39 contaminated U.S. sites and concluded that the problem of coal ash-caused water contamination is even more extensive in the United States than has been estimated. The study brought to 137 the number of ground water sites across the United States that are contaminated by power plant-produced coal ash. U.S. government scientists tested fish in 291 streams around the country for mercury contamination. They found mercury in every fish tested, according to the study by the U.S. Department of the Interior. They found mercury even in fish of isolated rural waterways. Twenty five percent of the fish tested had mercury levels above the safety levels determined by the U.S. Environmental Protection Agency for people who eat the fish regularly. The largest source of mercury contamination in the United States is coal-fueled power plant emissions. Several methods exist to improve the efficiency of fossil fuel power plants. A frequently used and cost-efficient method is to convert a plant to run on a different fuel. This includes conversions for biomass and waste. 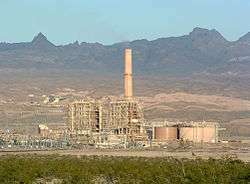 Conversions to waste-fired power plants have the benefit of reducing landfilling. In addition, waste-fired power plants can be equipped with material recovery, which is also beneficial to the environment. In some instances, torrefaction of biomass may be needed if biomass is the material the converted fossil fuel power plant will be using. Improving energy efficiency of a coal-fired power plant also reduces emissions. For example, emissions can be reduced by upgrading existing plants or building new high-efficiency, low-emissions plants. Such plants emit almost 20% less CO2 than a subcritical unit operating at a similar load. Over the longer term, HELE plants can further facilitate emission reductions because coal-fired plants operating at the highest efficiencies are also the most appropriate option for carbon capture and storage retrofit. Regardless of the conversion, a truly low-carbon fossil fuel power plant implements carbon capture and storage, which means that the exhaust CO2 is not released into the environment and the fossil fuel power plant becomes an emissionless power plant. A 2006 example of a carbon capture and storage fossil fuel power plant is the pilot Elsam power station near Esbjerg, Denmark. A common retrofit in fossil fueled power stations is the replacement of original burners with Low NOx burners. Careful consideration of fluid dynamics and flame thermodynamics has enabled substantial reduction in flame temperature, leading to reduced formation of Nitrous Oxides. Clean coal is a process whereby coal is chemically washed of minerals and impurities, sometimes gasified, burned and the resulting flue gases treated with steam, with the purpose of removing sulfur dioxide, and reburned so as to make the carbon dioxide in the flue gas economically recoverable. The coal industry uses the term "clean coal" to describe technologies designed to enhance both the efficiency and the environmental acceptability of coal extraction, preparation and use, but has provided no specific quantitative limits on any emissions, particularly carbon dioxide. Whereas contaminants like sulfur or mercury can be removed from coal, carbon cannot be effectively removed while still leaving a usable fuel, and clean coal plants without carbon sequestration and storage do not significantly reduce carbon dioxide emissions. James Hansen in an open letter to U.S. President Barack Obama has advocated a "moratorium and phase-out of coal plants that do not capture and store CO2". In his book Storms of My Grandchildren, similarly, Hansen discusses his Declaration of Stewardship the first principle of which requires "a moratorium on coal-fired power plants that do not capture and sequester carbon dioxide". Combined heat and power (CHP), also known as cogeneration, is the use of a power station to provide both electric power and process heat or district heating. While rejecting heat at a higher than normal temperature to enable building heating lowers overall plant electric power efficiency, the extra fuel burnt is more than offset by the reduction in fossil fuel that would otherwise be used for heating buildings. This technology is widely practiced in for example Denmark, other Scandinavian countries and parts of Germany. Calculations show that CHPDH is the cheapest method of carbon emissions reductions. Alternatives to fossil fuel power plants include nuclear power, solar power, geothermal power, wind power, tidal power, hydroelectric power (hydroelectricity), biomass fired power and other renewable energies (see non-carbon economy). Some of these are proven technologies on an industrial scale (i.e. nuclear, wind, tidal, hydroelectric and biomass fired power) others are still in prototype form. Nuclear power, and geothermal power may be classed as heat pollutants as they add heat energy to the biosphere that would not otherwise be released. The net quantity of energy conversion within the biosphere due to the utilisation of wind power, solar power, tidal power, hydroelectric power (hydroelectricity) is static and is derived from the effects of sunlight and the movement of the moon and planets. Capital costs, including waste disposal and decommissioning costs for nuclear energy. Fuel costs for fossil fuel and biomass sources, and which may be negative for wastes. Likely annual hours per year run or load factor, which may be as low as 30% for wind energy, or as high as 90% for nuclear energy. Offset sales of heat, for example in combined heat and power district heating (CHP/DH). ↑ Charles Camp; Department of Civil Engineering. "PCA Manual" (PDF). University of Memphis, Herff College of Civil Engineering. Retrieved 8 January 2013. ↑ "ELECTRIC GENERATION EFFICIENCY: Working Document of the NPC Global Oil & Gas Study" (PDF). Highbeam Research. Retrieved 18 July 2007. 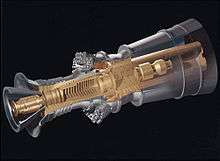 ↑ GE Power’s H Series Turbine Archived 11 November 2007 at the Wayback Machine. ↑ "Sources Climate Change". US EPA. 2012. Retrieved August 26, 2012. ↑ "Electricity Sector Emissions Climate Change". US EPA. 2012. Retrieved August 26, 2012. ↑ Solomon, S.; et al. (2007). "Summary for policymakers" (PDF). A report of Working Group I of the Intergovernmental Panel on Climate Change. IPCC. Retrieved 24 March 2010. 1 2 3 4 Nel, A. (2005, May 6). Air Pollution-Related Illness: Effects of Particles. Science, 308(5723), 804-806. 1 2 3 Grahame, T., & Schlesinger, R. (2007, April 15). Health Effects of Airborne Particulate Matter: Do We Know Enough to Consider Regulating Specific Particle Types or Sources?. Inhalation Toxicology, 19(6–7), 457–481. 1 2 3 Schobert, H. H. (2002). Energy and Society. New York: Taylor & Francis, 241–255. 1 2 3 Coal Combustion: Nuclear Resource or Danger? Archived 5 February 2007 at the Wayback Machine. by Alex Gabbard, ORNL Review, Summer/Fall 1993, Vol. 26, Nos. 3 and 4. ↑ Thompson, Linda. "Vitrification of Nuclear Waste". PH240 - Fall 2010: Introduction to the Physics of Energy. Stanford University. Retrieved 10 August 2014. ↑ "Fukushima radioactive fallout nears Chernobyl levels". Newscientist.com. Retrieved 24 April 2011. ↑ Barnes, Ian (March 2015). "Upgrading the Efficiency of the World's Coal Fleet to Reduce CO2 Emissions". Cornerstone. ↑ ENS (March 15, 2006). 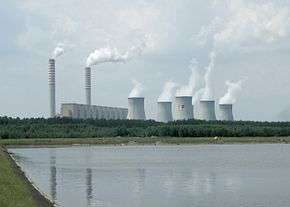 "Europe Tests Carbon Capture at Coal-Fired Power Plant". Environment News Service. Retrieved 15 July 2012. ↑ AustralianCoal.com.au—Clean Coal Overview Archived 7 December 2007 at the Wayback Machine. ↑ Hansen, James (2009). Storms of My Grandchildren. London: Bloomsbury Publishing. p. 242. ISBN 1-4088-0745-9. Wikimedia Commons has media related to Fossil fuel-fired power plants. "Power plant diagram". tva.gov. Tennessee Valley Authority.